When optimizing a multi-objective function there is often no single best element. 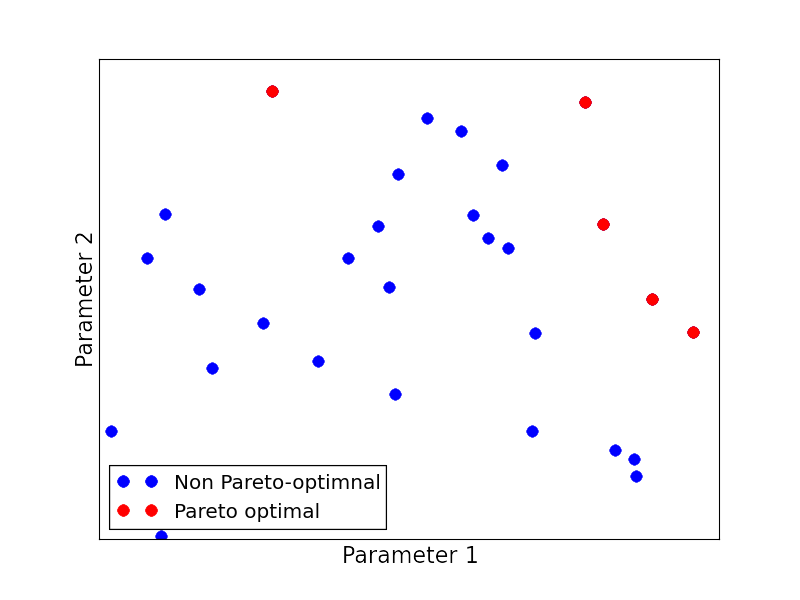 The Pareto optimal elements are the elements for which none of the components of the function can be increased without reducing one of the other components. cpp_pareto.zip: A c++ header-only class to calculate Pareto optimal elements. An example program is included in the package.